Langston Pattillo on Dualin Smooth Legacy. Hart Photography. 018 Lucas Oil NCHA Super Stakes � April 12 2018 � Fort Worth, Tex. It was Langston Pattillo and Jim Vangilder one-two-three in the Super Stakes Amateur Finals, where the two cutters tied with 221 points on Dualin Smooth Legacy and Smooth Sailing Cat, respectively, and Pattillo placed third with 219 points on High Stylin CD. Pattillo, from St. Elmo, Ill., had already made his mark in the 2018 Super Stakes before Thursday�s finals. On Wednesday, he showed High Stylin CD, by High Brow CD, as reserve champion of the Classic Non-Pro Limited, and in the finals of the Classic Amateur Unlimited. Earlier this year, Pattillo and the 5-year-old gelding won the Bonanza 5/6 Amateur championship, claimed reserve in the Abilene Spectacular 5/6 Amateur Unlimited, and were finalists in the Arbuckle Mountain 5/6 Amateur Unlimited and Amateur divisions, the Bonanza 5/6 Amateur Unlimited, and the Cattlemen�s 5/6 Amateur Unlimited. This was Pattillo�s first win and first paycheck on Dualin Smooth Legacy, by Smooth As A Cat. The 5-year-old gelding had been a finalist in the 2017 Bonanza Open under Kenny Platt, and earned money with Robert Tregemba in the 2018 Abilene Spectacular 5/6 Amateur Gelding division. Pattillo is the earner of more than $90,000. Before the Classic Amateur Finals, Dualin Smooth Legacy and High Stylin CD had earnings of $14,753 and $46,716, respectively. Jim Vangilder on Smooth Sailing Cat. Hart Photography. 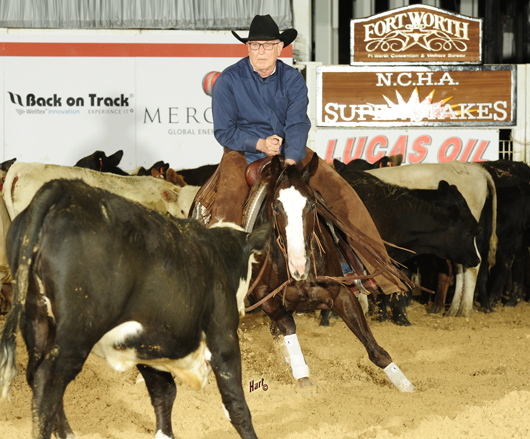 NCHA Non-Pro Hall of Fame member Jim Vangilder, earner of $1,150,144, won the 2006 NCHA Super Stakes Classic and the 2006 NCHA Derby Classic Non-Pro championships on Quintan Blue LTE $594,637. He is also the breeder of 2012 NCHA Super Stakes Classic Open champion Cat Man Blue LTE $228,148; 2010 Super Stakes Open Limited champion Arosesuchaclatter LTE $323,079; and 2010 NCHA Super Stakes Classic Non-Pro champion Lena Rey Zack LTE $117,405. The day before their Super Stakes Amateur championship run, Vangilder and 5-year-old Smooth Sailing Cat LTE $63,001 placed tenth in the Super Stakes Classic Amateur Unlimited. 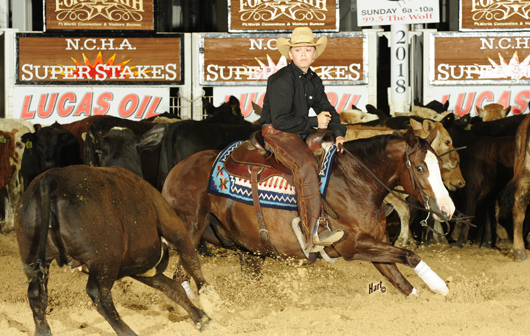 In 2017, Ashley Flynn showed the Smooth As A Cat gelding to win the Ike Hamilton Non-Pro championship and placed reserve in the Abilene Spectacular Non-Pro. Vangilder�s daughter, Grace Ann, also showed Smooth Sailing Cat as a semi-finalist in the 2017 NCHA Derby Non-Pro.